Dressed for the weather in the Quantock Hills of Somerset. Like many, it snuck up on me when I was not looking. And as deadlines go, it was a small one, for a 1,200-word article for Inspired Senior Living, a monthly magazine which is one of the few still open to freelance travel articles. 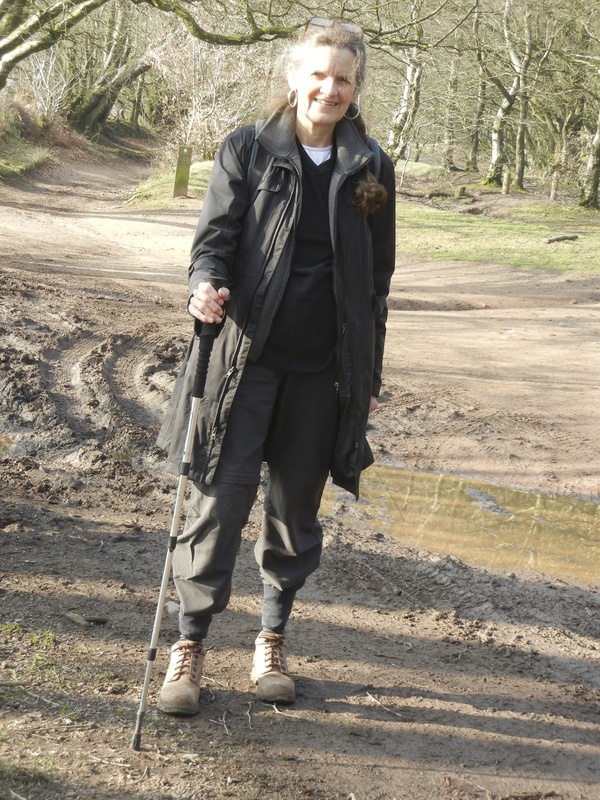 And I was writing about something I love to do – walking in the UK. But I got the assignment in November 2016. Which I promptly ‘sidelined’ in my mind as the deadline seemed seemed so far away. I did other things… mainly traveled, got involved in quite a bit of volunteer work, spent lovely times with family and friends here, and on the Lower Mainland. And on my return from an 8-week trip to Europe, somehow thinking the deadline was for Aug 1, pulled out the assignment email. Turns out it was JULY 1, just three weeks away. It’s been a long time since I wrote an article… you know what Mark Twain said, “If I had more time, I would have written a shorter letter.” It took an indorndinately lot of hours to draft those 1,400 words (yes, longer than assigned, but I think I am good as some of them are As You Go notes, which I hope aren’t included in the word count). Then, with no in-house First Reader, I needed a pair of fresh eyes – which I found in fellow Nanaimo writer Judy Millar. Then the issue of pictures. The ones I had in mind had disappeared from my laptop. Or maybe were never there. I trawled through every directory, my two iPads, my external hard drive. And then remembered a thumb drive to which I had uploaded pictures from my previous computer. But where was it? After two days of turning everything upside down in my house, it literally fell into my hands when I was searching through a closet I had already checked. Then I had to figure out how DropBox works – the favoured way of forwarding images to editors these days, I’m told, but had never used before. But thanks to the expertise of another fellow writer Julie Ferguson, I soon had that figured out. So today both article and pictures were sent off, duly acknowledged by the editor, and I’m done. And now I’m basking in the post-deadline glow. It’s done. It’s gone. And in August I will see just how those words and pics look on the page. Meanwhile, I hope to have dug back into another project which is my priority for the summer and fall. A project with no deadline, which means it could take forever.